The EVG-3D Construction System originated in Austria, Europe in the mid 1980's and was invented by EVG (Entwicklungs- und Verwertungs-Gesellschaft m.b.H.). In 1995, Eastern Wire Mfg. Inc. became the "Sole Philippine Manufacturer" of the product. The EVG-3D Construction System offers a well proven building method in over 50 countries worldwide. The system uses high strength, non-load bearing modular panels for interior and exterior walls. No concrete framework is required. The EVG-3D panels consists of a three-dimensional welded wire space frame fitted with an expanded polystyrene insulation core . Strength and rigidity of the panels result from the diagonal truss wires welded to the wire mesh layers on each side of the panel. Erection is quick and easy (no cranes needed) because the EVG-3D panels are light (a standard panel weighs around 13 kg). The construction method is simple, easy to understand and does not require skilled labor. EVG-3D panels can be cut quickly to any size or to a particular shape to suit architectural design concepts. Cutting of openings for windows and doors can be done in a matter of minutes. The insulation core body (normally of Expanded, non-flammable Polystyrene) is securely and precisely locked in the centre of the panel, not shiftable, even under high pressure caused by the sprayed-on concrete as a result of the truss wires pierced through the insulation core and being arranged in zig-zag-configuration. This results in perfect building quality, with uniform concrete thickness throughout, giving highest structural strength as well as minimizing cement consumption. 3D Panels are manufactured for ease of use. Each panel can be installed in a matter of minutes by an unskilled laborer. Buildings made up of 3D panels can go up in days, not weeks. In fact, it takes less than a day for the 3D panel shell of a 220 sq.m. house to be erected. 3D panels can be easily molded to fit complicated architectural designs. Window & door frames are easily created by cutting the required openings in the panel itself. 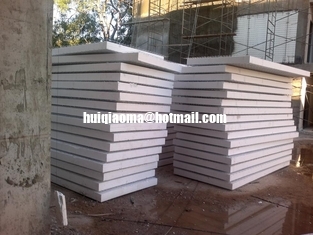 The panels can be used as walls, ceilings, roofs and as filler panels for metal or concrete structures. 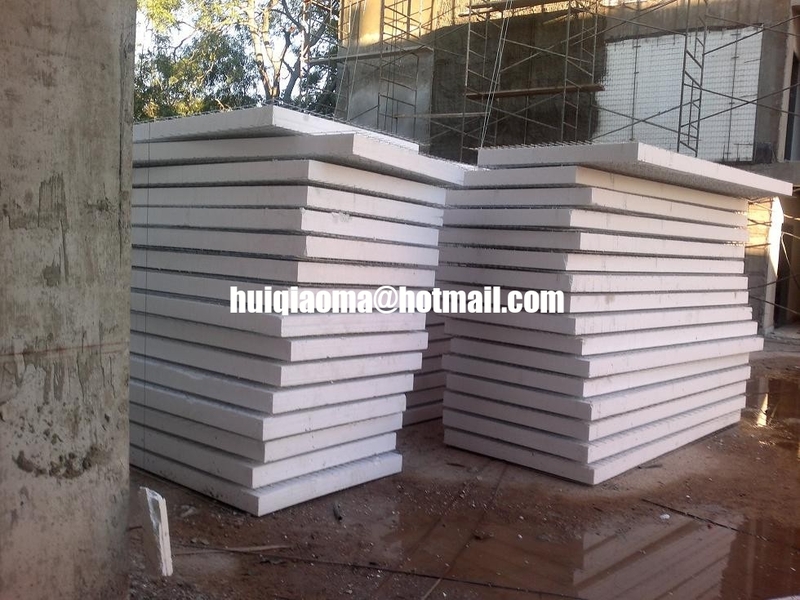 For Single-story to High-rise buildings, Residential, Commercial or any construction project. Electrical wires, water pipes & other cables present no problem. They are simply inserted between the polystyrene core & the cover mesh. Each 3D panel comes with built-in thermal insulation, thanks to its expanded polystyrene core. The sun’s heat cannot penetrate walls made of 3D panels. Also, cooler temperatures within the 3D panel structure can be maintained, thereby saving on electricity costs. The panels also have excellent sound insulation capabilities. Because the EVG 3D panel is a light-weight reinforced concrete system, it is capable of withstanding strong seismic and wind pressure. Houses built with 3D panels have been recorded to survive hurricanes without an inch of damage. The 3D panels are also fire retardant. The polystyrene core does not kindle fire, it merely melts under the fire. The 3D panels system can save you as much as 25% of your total project costs. Reductions in necessary labor, machinery, and extra materials, which you would have needed in using traditional construction methods, all contribute to the total savings. Finished 3D panels will come out only 4 inches total. In comparison, hollow blocks are already 6” thick, then adding finishing on both sides, CHB comes out 8 inches total. The monolithic structure of the 3D panels allows for an impressive strength-to-weight relationship. The EPS (Expanded Polystyrene) Core is CFC-free. The wires are made of recycled steel. Not to mention the amount of timber the system saves compared to the use of traditional wood frame.